UPDATE - Monday 24th July, 10:50pm: Ah, it appears I jumped the gun on this one. 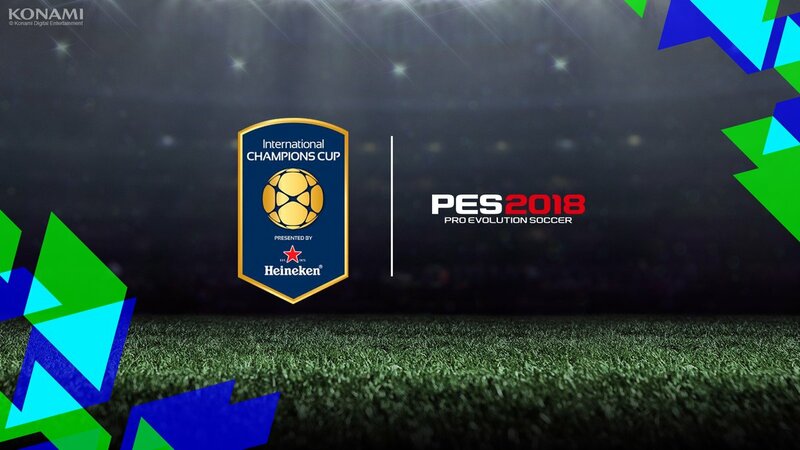 Unfortunately, PES Community Manager Robbye Ron has today confirmed the ICC will not appear in PES 2018 Master League. My sincere apologies for any confusion caused. The International Champions Cup is an annual tournament where a selection of clubs play pre-season friendlies against each other across a range of territories. Starting in the United States and Canada four years ago, the competition has since expanded to Australia, China and Mexico. Currently ongoing, matches for the 2017 edition of the ICC are taking place in China, Singapore as well as the United States. 17 European clubs - including Arsenal, Barcelona and Paris Saint-Germain - are participating.